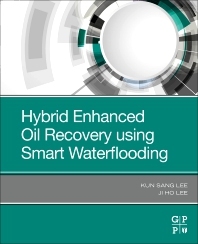 Hybrid Enhanced Oil Recovery Using Smart Waterflooding explains the latest technologies used in the integration of low-salinity and smart waterflooding in other EOR processes to reduce risks attributed to numerous difficulties in existing technologies, also introducing the synergetic effects. Covering both lab and field work and the challenges ahead, the book delivers a cutting-edge product for today’s reservoir engineers. Kun Sang Lee is currently a Professor in the Department of Earth Resources and Environmental Engineering at Hanyang University. He earned a BS in mineral and petroleum engineering and a MS in mineral and petroleum engineering, both from Seoul National University. He was previously an Assistant Professor and Professor at Kyonggi University and an Associate Adjunct Professor at Michigan State University. He is currently the Editor-in-Chief of Geosystem Engineering and on the editorial board of the International Journal of Oil, Gas, and Coal Technology. He has published in many journals including Elsevier's Journal of Petroleum Science and Engineering. Ji Ho Lee is currently a post-doc researcher at the Department of Earth Resources and Environmental Engineering at Hanyang University in South Korea. He earned a bachelor of science in geoenvironmental system engineering and a PhD in earth resources and environmental engineering, both from Hanyang University. Dr. Lee has published several journal articles and one book publication.